The OIG is used to putting healthcare enterprises firmly on the defensive, but this month it ended up answering some rather tough questions of its own. 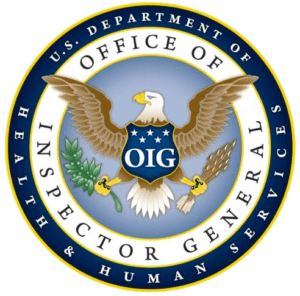 According to information published by the National Law Review, the OIG recently responded to a letter from the American Hospital Association that called into question the practices of the OIG in relation to using extrapolated data in some of its auditing practices. Extrapolated data can create an inaccurate picture of the likelihood of billing noncompliance. Data mining and analytics are heavily used in deciding which hospitals should be reviewed. The use of sampling in estimating noncompliance can raise legal and financial dilemmas. While the AHA’s concerns do not all relate directly to employee screening, it is important that chief compliance officers be aware of this latest controversy, which could impact all levels of OIG enforcement. As it has only been a few weeks since the OIG’s response to the AHA’s concerns, it is too early to know exactly what kind of impact the issue will have. However, it may signal a sea change. Over the last few years, enforcement has become increasingly strict, while more and more hospitals spend a growing amount of money on their compliance regimen. If an industry organization with the significant clout of the AHA decides to raise serious concerns about OIG standards, it may lead to legal battles that will change enforcement. In the short-term, however, such controversies could actually raise the aggressiveness of enforcement, or cause the OIG to focus its resources in areas that are less likely to raise any major legal concerns: For example, proper exclusion screening. To speak to an expert on OIG hiring compliance, call or email Streamline Verify right now. Our software will provide you with the technological edge you need to stay one step ahead in the fast evolving compliance landscape.